The Current River is the most spring-fed river in the state, easily floated much of the year. known to be one of the wildest and most picturesque in the state. Together, they form the Ozark National Scenic Riverways, America’s first national scenic riverway. almost 200 species of birds and 58 species of mammals. Information about waterways across Missouri is available at the Missouri Canoe and Floaters Association Web site. The south section floats through private land from the Wilson Bridge to the beginning of a whitewater section called the Snake River Canyon. Snake River, according to the site. 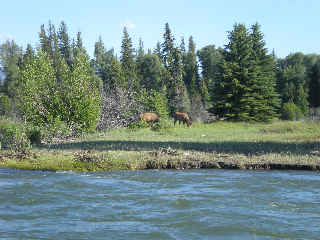 Many of these trips include riverside dinners or overnight camping and rafting adventures. minutes from Asheville — nestled in the Blue Ridge Mountains — thrives off this river, says K.C. Cronin, representative for the Blue Ridge National Heritage Area. many other outdoor adventures including hiking, cycling, horseback riding, hot air balloon riding, and caving. tourism Web site or the Romantic Asheville Web site. lodging in cabins, fly fishing, tubing and float trips from two hours to two days long, according to the Oklahoma Road Trips Web site. Visitors enjoy easy highway access to many canoe outfitters and public accesses from scenic Highway 10 near Tahlequah. Those who begin the trip early and paddle quietly can sometimes see wildlife including Osprey birds, white-tailed deer, trout and herons, according to the site. the river are the two bridges that cross the river at Highways 76 and 28, says Erin McKergow of Wildwater Ltd.
along both banks. It runs through both the Chattahoochee and Sumter National Forests as it forms the border between South Carolina and Georgia. of the river features mild rapids and calm pools, while Section IV is known for its intense whitewater,” says Rodichok. 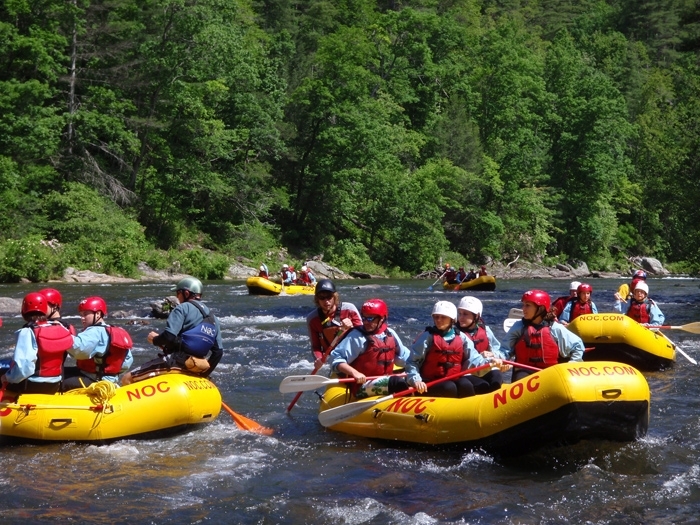 More information on float trips in South Carolina is available on the state’s tourism Web site. Information on other rivers in the area is available here.